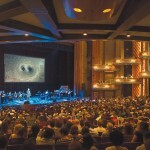 Oscar-winning composer Hans Zimmer presented an out-of-this-world performance during UCF Celebrates the Arts. 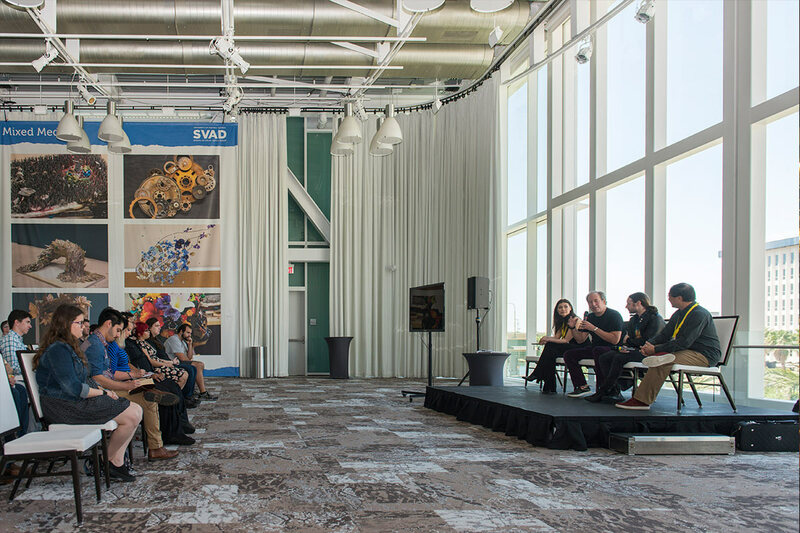 In April, UCF Celebrates the Arts offered a multimedia performance that combined music, science and visual art. 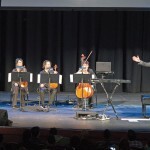 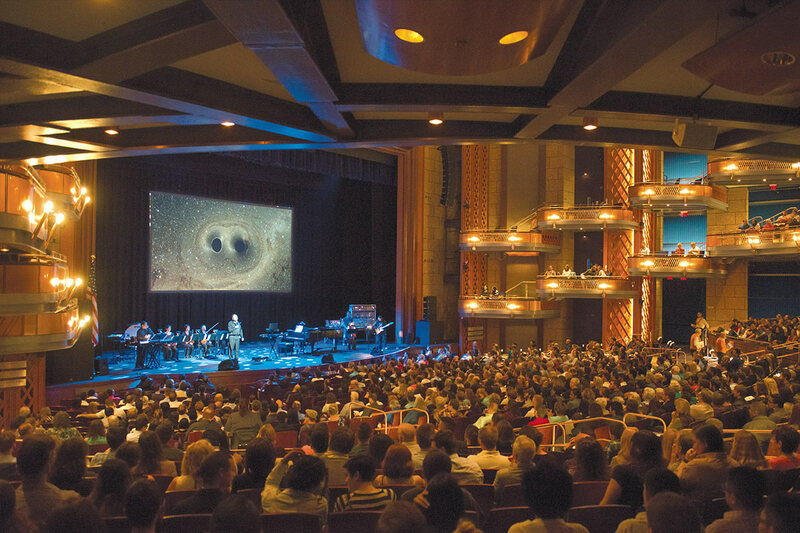 Titled “The Warped Side of the Universe” and held at the Dr. Phillips Center for the Performing Arts, the event featured work from composer Hans Zimmer, astrophysicist Kip Thorne and visual effects artist Paul Franklin, who worked together on Interstellar. 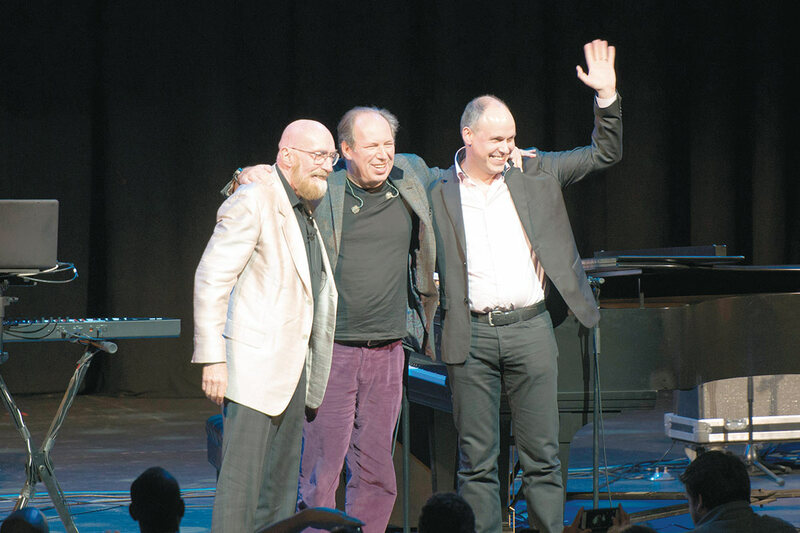 Through music, videos, lectures, artistic renderings and computer simulations, the trio produced a journey through warped space and time, including colliding black holes, exploding supernovas and the birth of our universe. 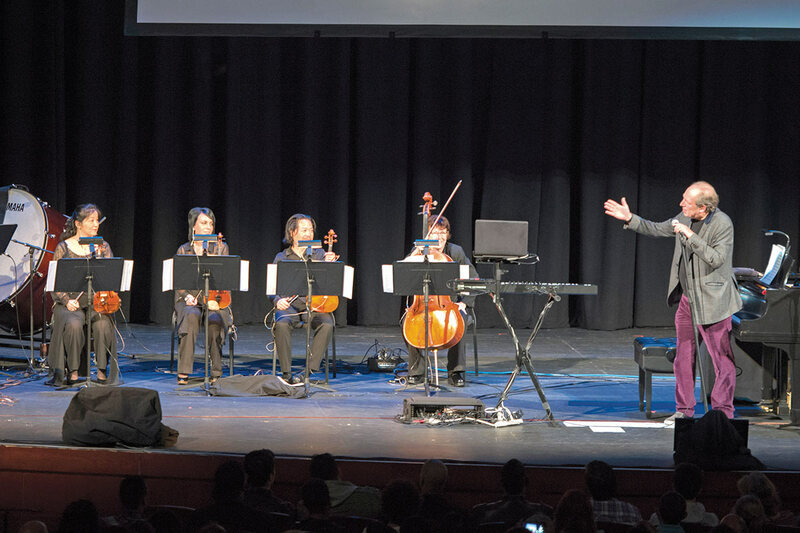 Composer Hans Zimmer introduces (from left) UCF professor Ayako Yonetani on violin, graduate student Iryna Usova on second violin, Director of Orchestras and String Music Education Chung Park on viola, and adjunct professor Laurel Stanton on cello. 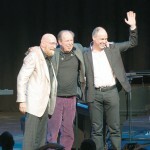 Astrophysicist Kip Thorne, Zimmer and visual effects artist Paul Franklin received a standing ovation. 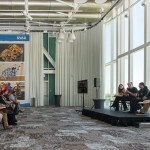 Earlier that afternoon, Zimmer taught a master class for students in the School of Performing Arts.